The complexity of high-performance computing infrastructures and applications require the use of problem-oriented interfacesand automation of basic activities in order to support the solving of complex scientific and engineering problems. 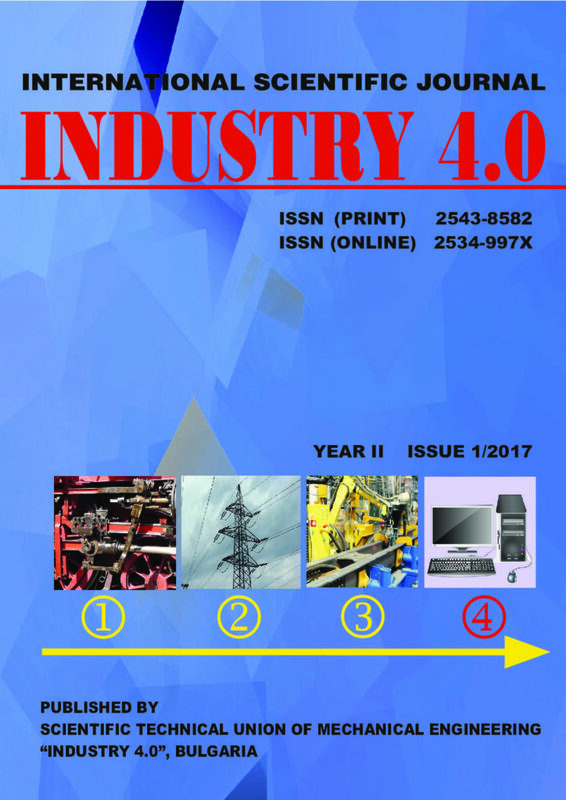 The use of service-oriented approach and cloud computing models can improve the research productivity by enabling publication and reuse of computing applications, as well as creation of cloud services for automation of computations. The paper describes the implementation of this approach in the form of a web-based platform following the Platform as a Service model. Unlike other solutions, the presented Everest platform runs applications on external computing resources connected by users, implements flexible binding of resources to applications and provides an open programming interface. This paper considers the process electron beam welding in vacuum of stainless steel 1H18NT. Neural network based models are developed and used for the description of the defectiveness, depending on the process parameters – electron beam power, welding velocity, the distance between the main surface of the magnetic lens of the electron gun and the beam focusing plane and the distance between the main surface of the magnetic lens of the electron gun and the sample surface. Neural network (NN) models, based on a multi-layered feedforward neural network, trained with Levenberg-Marquardt error backpropagation algorithm are compared with NN models, based on Pattern recording neural network, trained with Conjugate Gradient Algorithm. The neural networks are trained, verified and tested using a set of experimental data. The obtained models are implemented to predict areas of process parameters, where the appearance of defects is most probable and the location of welding regimes that should be avoided. The strong industrialized world today need a new sensible approach for further development with high priority to protect and respect the nature, i.e. one rational approach coordinated with environmental and safety requirements for high tech investment proposals’ realization. For the aim with the report are defined and proposed the main type of actions for practical application as a combination of legally regulated procedures concerning environmental impact assessment, prevention and control of pollution of the components, identification and application of best technological practices, assurance of operational safety of the plants and protection of the employees, public and environment, using of renewable sources and improving energy efficiency to reach the European "20-20-20" targets. The adoption of new technologies in organizations requires a preliminary assessment of risks, pro and cons of the planned change (SWOT analysis and change management). This paper acknowledges the important changes which are occurring in the security of the ICT systems in the organizations as a consequence from the transfer to the cloud services. Traditionally, IT is positioned behind the firewall of any organization and all servers, virtualized or not, are specific as a service for any business. The authority which supports the security systems could choose the components for security among multiple proved products – firewalls, antivirus systems, servers, updates management, proxy servers, etc. In this way is guaranteed the high level of control upon the security of IT environment and the requirements of different standards for security. 5th generation mobile networks, abbreviated 5G, are the proposed next telecommunications standards. 5G research and development also aims at improved support of machine to machine communication, also known as the Internet of Things, at millimeter waves. The move to these extremely high frequency bands, as well as the new requirements to the 5G network parameters, need new approach for the future technical systems solutions. One of those is the use of microwave coherent transponding system. Spatial Correlation Processing – Random Phase Spread Coding is a new technology in the field of microwave beam forming antenna theory, developed by the author one decade before. Its application in millimeter wave coherent transponding systems is proposed in this report. The system advantages are considered in details too. A prototyping of miniature hyperboloid gear drives and ultrasonic motors is presented. A new type ultrasonic motor is experimentally tested. Due to its compatibility and functionality, segways have been widely used in many countries. It was first introduced in December 2001.Yet, segway robots are faced with problems such as friction and external disturbances. Therefore, some controllers are designed to overcome with these problems. In previous studies, traditional controllers are used to balance a two-wheeled segway robot. The aim of this study is to minimize the trajectory tracking error. Due to external disturbances, such as wind, force and torque, robot parameters cannot be calculated exactly. Hence, the parameters of the robot are assumed to be unknown. In such situations, adaptive and robust controllers give better results. Adaptive and robust control laws were examined and adaptive-robust system was designed for the segway robot. Then Lyapunov function was defined and this adaptive-robust controller was derived from the Lyapunov function. And this control system applied to a two-wheeled segway robot model. The maturing of markets and market relations lead to increased competiveness and consumer’s requirements as well as transform the quality as a factor of company’s success and survival. Increasing the human resource quality through using and applying appropriate methods and technics contributes to the organization stability. The human resources transformation into human capital is a basic condition for development of the enterprises. The survey is based upon own questionnaire through the employee in event management company. The results indicate that taking measures in accordance with the new good practices and motivation policies lead to positive changes and development of the company. The aim of the article is to present the overview of the project “Processes, Goals, Competencies – Integrated Office Management” that introduced competence based management in public administration in Poland. The main goal of the project was to support offices of public administration in Poland in introducing new methods of management. The project had few stages which are described in the article. In the final part of the article the Author discusses future challenges of the project. Rapid globalization requires for students, teachers, and researchers to have good education, logical thinking, problem-solving, comparative, and research skills, excellent expressiveness, and broad scientific knowledge. This work outlines some of the newest and most important approaches and trends in the universities’ education system aiming at achieving better results. Some of the latest main projects and examples of good practices related to the application of these approaches and to the international education in Japan, Bulgaria and the United States are also introduced in the paper. A knowledge organisation should constantly expand and grow in order to survive in today’s competitive environment. One of the key opportunities to do so is allowing employees to use the accumulated knowledge. Organisations should enable employees to share their knowledge, while employees should be able to communicate and collaborate voluntarily and immediately, create new knowledge and accumulate individual knowledge. Although the need for knowledge is clear, knowledge movement at all stages of the knowledge life cycle is characterised by leakage, depreciation, dependence and trust. The article aims to review scientific literature and analyse knowledge issues in a knowledge organisation. To achieve this aim the following objectives have been set: analysing the concept of knowledge as a key resource in an organisation, examining the concept of organisation using a systematic approach and giving a critical overview of the scientific literature on this issue, justifying the need for knowledge at different levels and identifying problematic aspects of knowledge in a knowledge management process. The research applies methods of logical analysis, abstraction and synthesis.